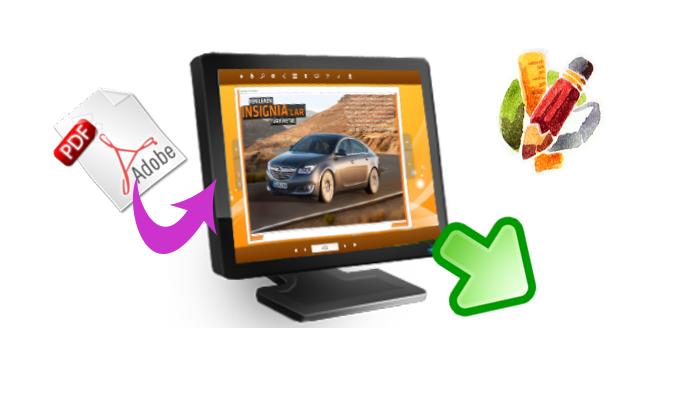 Ultimate digital magazine publishing solution for you to create professional HTML5 based interactive digital magazine with interactive experience. PUB HTML5 is a HTML5 based digital magazine publishing platform for publishing interactive books & magazines on iPad & iPhone using simply open web standards. PUB HTML5 has created the next generation HTML5 digital edition solution-called HTML5 Magazine Maker that enables us to create and deliver rich interactive versions of your favorite print editions, without compromising quality. A publication created with our system still delivers full size, full color pages with access anywhere! PUB HTML5 helps publishers & editors reach more people across every device & platform. The magazine maker software helps users in a number of ways, including publishing eBooks, preparing issues for magazine, business brochures, annual reports, online magazine, newspapers, event leaflets/flyers, educational books, sales slicks, interactive books, distribute corporate reports, newsletters and product catalogs among others. Being an effective solution to convey creative ideas and art skills of designers and promoting desire of business, digital magazine has gained its popularity in different fields. However, having professionals published a high quality digital magazine will have an impact on your budget, though you don't have to spend too much on an adequate one. But now, you don't need to worry about the high cost for a digital magazine. 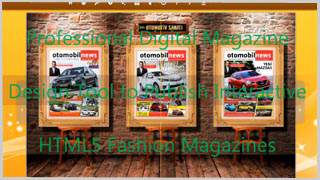 PUB HTML5 will enable you to publish professional and outstanding digital magazines all by yourself. And to your great surprise, with this digital magazine publishing software, you will be able to create, design and publish the magazine without coding. On the contrary, you can publish the digital magazine within minutes. Beyond question, creating a digital magazine is far away from what you desire. You need high quality magazine with impressive experience! And that's why I claim that Pub HTML5 is your ultimate and smart choice. This software can provide you with much more than you can imagine. On one hand, it will help you publish HTML5 based page sliding digital magazine that can run smoothly on PC, Mac, iPad, iPhone, Android and other mobile devices via all mainstream browsers such as IE, Google Chrome, FireFox, and Safari. On the other hand, this 'html5 magazine maker provides with a set of design tools to make your digital magazine more professional and eye-catching. 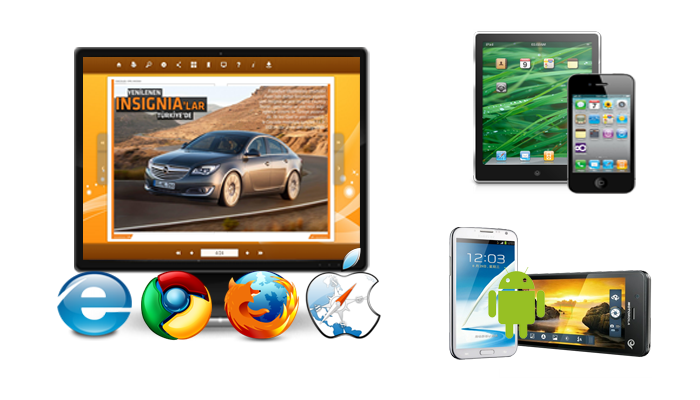 You can adorn the magazine with multiple templates of different style; enable feature buttons for readers' easy navigating through the magazine; enrich the magazine with interactive experience by embedding dynamic multimedia element like offline video, YouTube, Vimeo, sound, image slideshow, and even shopping items. Pub HTML5 explains what a digital magazine should be like and could be like.